Below you will find Top CBSE Schools in Cuttack 2019, List of Best CBSE Board Schools in Cuttack. Established in the year 2003 by the Vidya Jyoti Trust in association with the Delhi Public School Society, DPS, Kalinga is affiliated to the Central Board of Secondary Education (CBSE), New Delhi, and offers education from Nursery to Class XII. Kendriya Vidyalaya, Charbatia is a school in Cuttack, India, providing education to the children of Central Government employees. Kendriya Vidyalaya No 2 Cuttack came in to being on August 25, 2010 with the divine blessings of God and the blessings of Sri Kishore Kumar Mohanty, Collector and District Magistrate and Sri Jyoti Prakash Das IAS, Director Govt Press. Guru Nanak Public School is a co-ed school affiliated with the Central Board of Secondary Education (CBSE), New Delhi. Established by the Al Noor Educational Trust, Freedom International School is affiliated to the Central Board of Secondary Education (CBSE), New Delhi, and offers education from Nursery to Class X.
Badambadi High School is a premier school where the syllabi and course of study are designed according to the Central Board of Secondary Education, New Delhi till secondary level - Class X.
Ayatpur High School is a progressive co-educational English Medium school affiliated to the Central Board of Secondary Education, New Delhi. Sri Aurobindo School Of New Thoughtruns from classes LKG to XII. Address : Govt Press Employee Quarters, Cuttack, Odisha 753010. 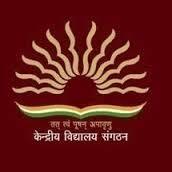 Suddhananda Vidyalaya affiliated to CBSE-New Delhi, is managed by SamvitSagar Trust. Address : At – Atma Vidya Vihar, Nachhipur, PO - Bhatapatana, Cuttack, Odisha 752115.